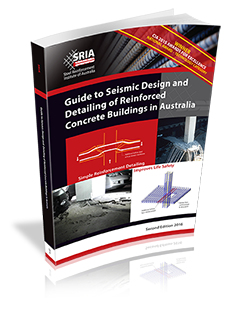 This web site and its contents ("Web Site") are owned and operated by the SRIA – The Steel Reinforcement Institute of Australia (hereafter referred to as “SRIA”) ABN 88 003 653 665. The use of this Web Site is governed by the following terms and conditions, as amended from time to time (the "Terms and Conditions"). By using this Web Site you acknowledge that you have read and understood these Terms and Conditions and agree to be bound by them. If you do not agree with these Terms and Conditions (including any amendments to them) you should immediately cease using the Web Site. The Web Site may be updated from time to time, including these Terms and Conditions. SRIA encourages you to check this document regularly. The Web Site and the materials on this Web Site are subject to copyright. Unless otherwise indicated, the copyright is owned by SRIA or a related company, which reserve all rights. Except for the direct purpose of viewing, printing, accessing or interacting with the Web Site for your own personal use or as otherwise indicated on the Web Site or these Terms and Conditions, you must not reproduce, modify, communicate to the public, adapt, transfer, distribute or store any of the contents of the Web Site, or incorporate any part of the Web Site into another web site without SRIA’s consent. The Web Site also includes registered and unregistered trade marks, which are either owned by SRIA or a related company. Except to the extent that it is expressly indicated to the contrary, your access to or use of this Web Site does not constitute or create a licence or any other right to use the name, trade address, trade marks, copyrights or any other intellectual property which appears on the Web Site. SRIA reserves the right to revise the content of, amend links from or withdraw access to the Web Site at any time without notice and without liability to you or any other person. SRIA assumes no responsibility and accepts no liability for the condition or content of third party web sites which may be linked to or accessed from the Web Site. SRIA has no control over and does not authorise the content of those third party web sites. Certain technical and other materials are made available by SRIA for downloading from the Web Site. Unless those materials are expressed to be pursuant to specific conditions (in which case those conditions will apply), SRIA grants to you a personal, non-transferable, and non-exclusive licence to use the relevant materials for your own private use, provided that you do not copy, communicate to the public, modify, reverse engineer, or otherwise transfer or purport to transfer any right in them, and provided also that you ensure that all copies of such materials retain any copyright or other intellectual property notices. Except as otherwise provided for in the terms of any express licence agreement, SRIA gives no warranties (either express or implied) as to the completeness, accuracy or reliability of such materials, and they are downloaded and used by you entirely at your own risk. When you use the site SRIA may place a "cookie" on your computer's hard drive so we can recognise you as a return user and personalise your experience. A cookie is a piece of data that enables us to track and target your preferences. The cookie will be stored on your hard drive until you remove it. You can have your browser notify you of, or automatically reject, cookies. If you reject our cookies, you may still use the site, but you may be limited in the use of some of the features. We may use other technologies to record your usage and personalise your experience. The information provided on the site is for general reference only and may be inaccurate or out of date. Neither SRIA or its related bodies corporate makes any representation or warranty as to the accuracy, completeness, currency or reliability of the information contained on the site. You should contact SRIA to confirm all information before taking any steps in reliance on the information supplied. To the maximum extent allowed by law SRIA and its related bodies corporate expressly disclaims all liability to any person whosoever arising (including, without limitation, for negligence, other tort and in contract) for any and all loss or damage, including damage to software or hardware, arising from your use of or access to the site. If you have any questions or comments regarding these terms and conditions or the site please email us.